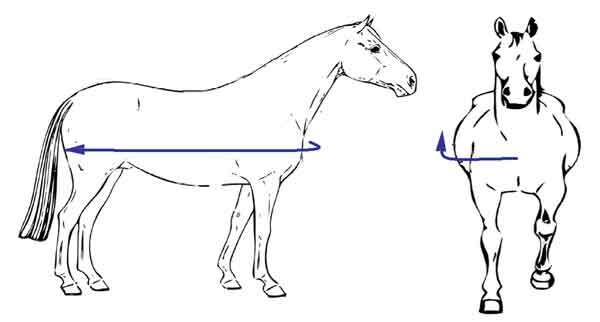 Measure the horse from the centre of the chest to a vertical line to the top of the tail as shown in the picture. If you return the blanket for improper fit, we will exchange it for the correct size, but we will not refund you your purchase price or shipping costs. You will also be resposible for all shipping costs.